Powerful testimonies continue to be shared here at The Kingdom Church! Before this week, ends I want you to be able to connect to your miracle. The Lord has spoken to me today to share this prophetic word into your life. For some of you reading today, you are about to go through or have already faced some battles. Out of these challenges, you are going to have a breakthrough! After facing these obstacles you are about to receive solutions. Out of every confusion you are going to step out victorious. This week in preparation for our upcoming Braveheart conference it’s time for you to prepare for battle and command every crisis in your life to become an opportunity. Command every crisis from the North, command the South, command the East and the West to turn into opportunities. This week in prayer ask God to lead you in the right direction. This week may your star shine and may the favour of God be upon you. Before this conference ends this week your breakthrough must manifest, your miracle must come! (1 Samuel 17:34-37 ) NIV But David said to Saul, “Your servant has been keeping his father’s sheep. When a lion or a bear came and carried off a sheep from the flock, I went after it, struck it and rescued the sheep from its mouth. When it turned on me, I seized it by its hair, struck it and killed it. Your servant has killed both the lion and the bear; this uncircumcised Philistine will be like one of them because he has defied the armies of the living God. The Lord who rescued me from the paw of the lion and the paw of the bear will rescue me from the hand of this Philistine.”Saul said to David, “Go, and the Lord be with you. 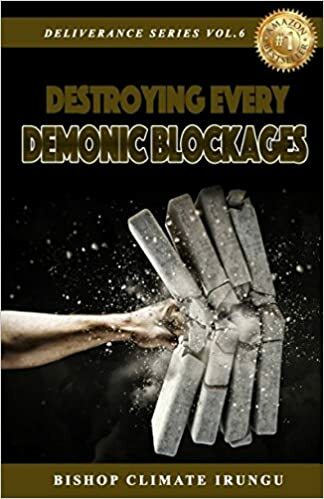 CLICK HERE TO DESTROY EVERY DEMONIC BLOCKAGE! Today you need to make the choice to focus on God, decide to no longer spend time with people who criticise you as people who criticise are people who have had dreams that failed. It’s time for you to stand up for what you believe in. Don’t let anyone undermine your age, undermine your status undermine your possibility. Child of God let me tell you something you can never be an overcomer without overcoming something. You can never be victorious without winning a battle and this week this is exactly what we are going to do. CLICK FOR SUPER SUNDAY PROPHETIC MIRACLE SERVICE – GOD WILL TURN EVERY CRISIS INTO OPPORTUNITIES! Tuesday 25th September Kingdom Seniors at 7:30PM! Come for networking and biblical principles for all seniors. Join us Friday 28th September DAY 3 Braveheart Conference 2018 with The Miracle Fire Service! Join us Saturday 29th September Midnight Express 12AM – 1AM Come for the express prayer service that is breaking barriers and producing miracles! Join Us Saturday 29th September at 10 AM For Braveheart Men’s Breakfast and at 7:30 PM For DAY 4 Braveheart Conference 2018! DAY 5 BRAVEHEART CONFERENCE FINALE 30th September 2018!